It’s important to look through a bunch of cute wedding bouquets because your special day really needs to be, well, special. Actually, more than that! Let’s hope you’re only getting married once. Everything has to be perfect. Every flower has to be on its place, god forbid something goes wrong! If you’re tired of plain old wedding ideas, I’m sorry, but I have to tell you’ve got a modern bride syndrome. Don’t worry, it’s nothing dangerous. You’ll just want to have a modern and unusual wedding. Therefore, a modern bouquet is a must. Let’s check out some of these cute wedding bouquets Interestang found for you. You don’t have to give up on roses for your special day. 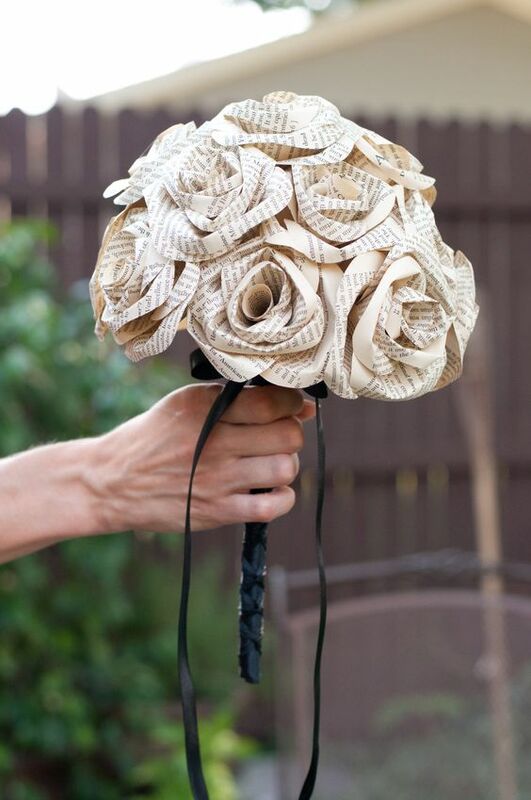 This modern paper rose bouquet will work perfectly fine.